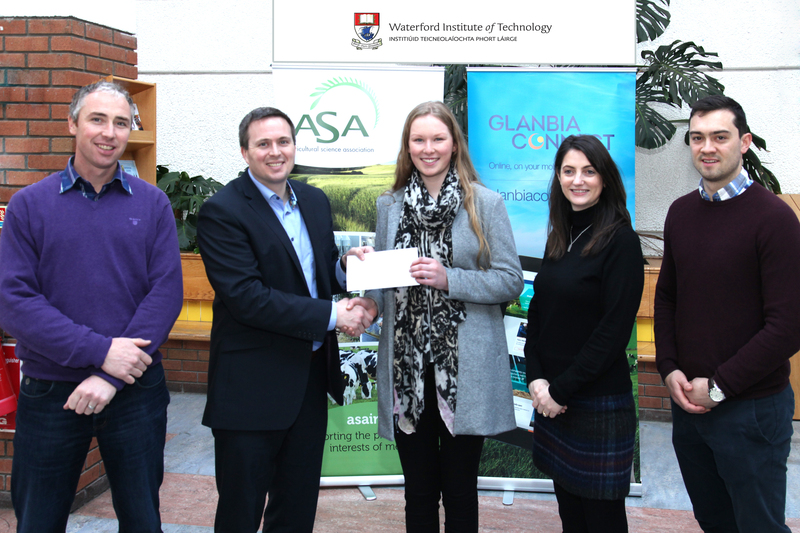 The winner of the ASA/WIT Travel bursary in association with Irish Farmers Journal and Glanbia was second year BSc in Agriculture student Ailish Osborne from Ballinamona, Kilkea, Castledermot, Co Kildare. The winners of two Agricultural Science Association (ASA)/ Waterford Institute of Technology (WIT) travel bursaries have been announced. Both have plans to travel abroad to do farm work placements. The winner of the ASA/WIT Travel bursary in association with Irish Farmers Journal and Seedtech was third year BSc (Hons) Agricultural Science student James Waters from Maugherow, Co Sligo. “The standard of interviewees this year was once again very high and this is reflective of the calibre of student that is coming through both the Agriculture and Agricultural Science Programmes in WIT, reflecting the great work done in the Institute. “The Irish Farmers Journal are delighted to be involved with this initiative once again this year,” said Anthony Jordan from the Irish Farmer’s Journal. Ailish Osborne, a past pupil of St Leos College in Carlow, says: “I am delighted to be chosen for this wonderful award that was made available to my classmates and I to travel overseas for work placement. This opportunity is giving me the chance to travel to New Zealand and experience the work and management involved in operating large-scale farm businesses. I would like to thank the Irish Farmers Journal and Glanbia for the kind sponsorship of this very generous award. When Ailish graduates from her course at WIT, she hopes to work in the Agri-food sector and continue to nurture her love of farming. In the future he hopes to travel abroad to do more Agricultural based traveling and work placement.